These panes or panels of glass were made by Knowsley Art Glass Ltd in 2018. 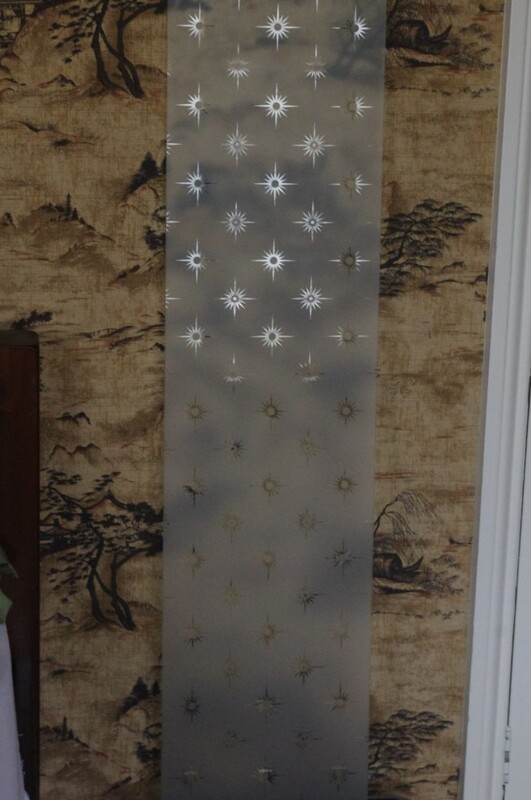 Each pane is 4mm thick, toughened, and etched with the beautiful "Bright Star" design. The height of each pane is 965mm, and the width 245. The style is mid-Victorian, and would grace a bathroom or a more formal room, where light is needed but also some privacy. Please enquire if you would like the item sent. We have the original packaging. The cost was £190, so this is a bargain. 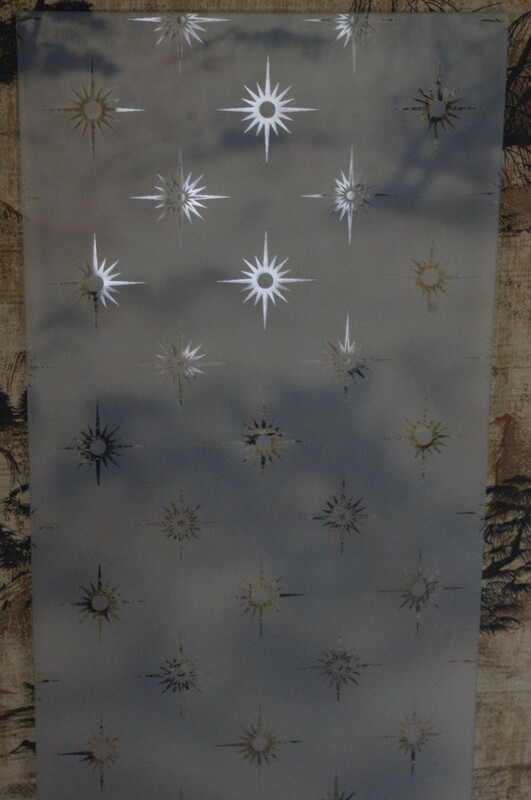 The stars are sprinkled in a regular design over a frosted opaque field. They are 16 point stars, with the points at north south east and west being a little longer than the 3 in between each point of the compass. The centre of each star is a solid circle, with the 16 points being transparent. We have a salvaged old 4-paneled door downstairs with two Bright Star panes let into it. They allow light into the lobby and hall but keep out a surprising amount of noise and draughts. 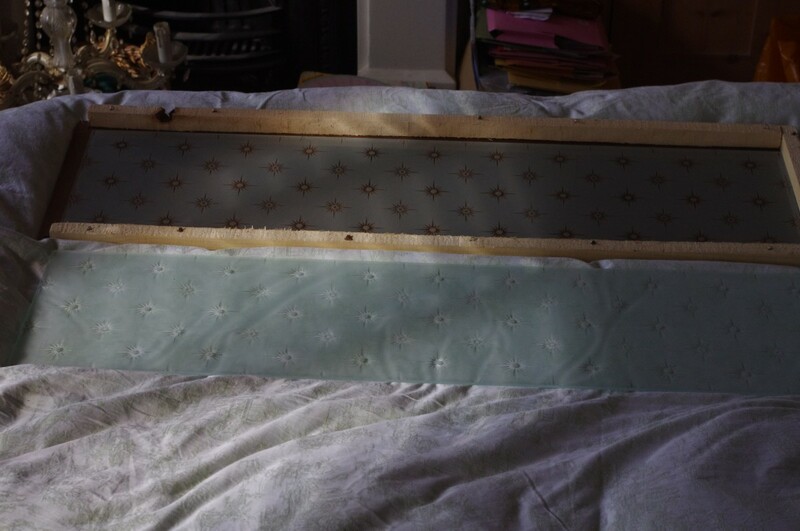 The panes are put in place using traditional linseed putty and 4 pieces of mitred beading. It's not a difficult job and the aperture does not have to be exactly the same size - it's better to have some tolerance, and any gaps can be discreetly filled and covered. Selling because the builder did not measure the apertures correctly, so the panes are over 3cms too long for our door! Postage £9 if you'd like them sent. Offers welcomed.